« 1WineDude Giveaway! Classical Music Hottie Edition! I was recently interviewed for an article that appeared on financial management website Mint.com’s Frugal Foodie blog, titled Will Joining a Wine Club Make or Break Your Budget. The topic (obviously) was the potential financial implications of joining a wine club, and how to find the right club without getting fleeced. This was strange one for me; although (obviously) related to wine, the only experience I have with wine clubs is (enviously) assisting other people in selecting the best ones to fit their wine goals and budgets. That’s because I live in the Communist-wealth of Pennsylvania, whose state-run monopoly of alcohol sales and distribution essentially make joining a wine club, for me, impossible (or, at best, economically infeasible). My basic take is that it’s probably never been easier to find good deals on a wine club. Why? For one, there’s a great deal of competition, despite the strange archaic state of U.S. alcohol shipping laws – and there are even a good number of international wine clubs cropping up. The other factor possibly fueling high competition and good deals in the wine club space is that there’s still a glut of wine inventory that has built up due to the down global economy. My guess is that people can wheel-and-deal their way to some sweet buys with those wine clubs – at least until the market picks up. One of the key differentiators (if not THE key) between wine clubs is customer service. Given the level of competition, if a wine club isn’t willing to customize for you then it’s probably not worth giving them your hard-earned cash. Many of you out there will have much more practical experience than I do with wine clubs. 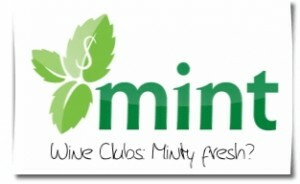 Are you a wine club member? Have you ever had to ditch a wine club? Shout it out in the comments! If wine clubs from specific wineries count, I'm currently in two, Domaine Chandon, and J Vineyards. Both have offered very good service, and some great discounts on re-orders. In fact, I think J gave me a free bottle of something on a membership anniversary. I had to drop one, which will remain nameless, for breaking the cardinal rule of shipping wine during the middle of summer to south Texas. They did it not once, but twice. After the second time, I dropped them like they were hot, pun intended. Thanks, Richard – nothing like cooked wine and corks popping when nobody's around to take the buzz (literally & figuratively) out of your wine enjoyment. Cheers! My experience with wine clubs is that, while you can get stuff that's not available on the open market, often you pay a premium price for it. I wouldn't consider a wine club to be a money-saving tactic. It's more for people who feel a special connection to that winery, and want to have special bottlings. Good point, Steve – there seems to be no shortage of "members/club-only" offerings out there right now. We just started offering a wine club for the first time. Customers choose between 2 levels, and while the higher of the two is currently filled, it garuntees you an allocation of everything we make, while the lower, and significanlty less expensive option gets you 2 bottles 3x’s each year. We DO NOT customize. As a smaller production winery, we don’t have that option. We do however off discounts on reorders. The most important feature of both is that they have access to our Middle Reach wines made exclusivly for our club memebers. Both the chardonnay and pinot noir are the most affordable we make. We do this to thank the members for their support. For most members though its not about the Middle Reach wines, ro the discounts; its about the other benefits: private tastings, events, reserved seats at shows, etc. When a member leaves our property we want them to say “YEAH! That’s why I’m a mamber here”. PS – We NEVER ship in the summer (unless specifically requested by the customer)…NEVER! Hey Chris – I like the multiple-tier approach. I actually help Lodi wineries set up new wine clubs. Nowadays, with all the advances in technology, there really isn't any excuse for a winery not to offer customization. With the Bokisch wine club, they will take any configuration of their bottlings and ship it to you. Their custom database allows this. I will say, however, that most customers like the availability of customization, but most just sign up for the quick and easy standard club or the reds-only version. Very few customers are in a whites-only version. Thanks Jon – would you say smaller producers should also customize? Not sure but that might be cost- or volume-prohibitive? I think every winery should put the customer's desires first, no matter what the production level or how few wines the winery produces. Wine club members are the best customers a winery can have. They blindly trust the winery to hold and charge their credit card as the winery sees fit. What happens is that small production wineries that become very successful are tempted to no longer bend over backwards for customers because they are already selling out their annual production in a short timeframe. Those wineries sometimes move to the mail list offer model and allocate, rather than run a wine club, per se. Also, many small production, successful wineries have a waiting list for their mailing list or wine club. I suspect a lot of those winery waiting lists have become very short in the last couple years. We also customize our club on request, within reason – and (don't spread this around) we'll even honor the occasional request to add on to the club shipment to consolidate shipping. We want to be that winery that does stuff like this. I look at wine clubs in 2 buckets. The online ones and the winery ones. The online ones need to provide value and cheap hard to find wines. There is NO reason to be a part of an online wine club unless you are getting a wine you can't get locally or its cheaper then you can get locally. And I would guess there are some people that like people finding wines for them. For winery wine clubs its a bit different. I think its all about the extra benefits you get. I am a member at Matanzas Creek and its about a 10 minute drive from my house. I can go for a picnic and free tasting so its well worth it being a member there. Plus we can bring up to 6 friends, choose our own wines, and get discounts on events. We are about to launch wineclubzone.com and we hope to provide people a place to find the best of the best for both wineries and online. You really do have to make the distinction between the "generic" club which draws from many sources and the winery club. Wineries have clubs for the very good reason that it maintains a close relationship with their best fans, and rewards those fans with the best prices and wines not available any other way. 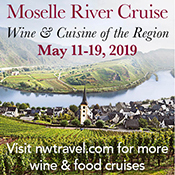 Smart wineries also offer other bennies like reduced shipping prices and special club events that should make it even more of a deal – for example, in my winery club the Twisted Few, you can dress up like a pirate any time you want to. You just can't get that any place else. You should join a winery club if you like their wines well enough to want a steady supply. You should join my winery club if you have a pirate outfit. Totally agree, Jefe – the Mint.com piece is mostly talking about the generic-style clubs, but I am definitely digging the discussion on the winery-club side of things here. What's your club policy on parrots? Ah… the less-common but always a pleasure to witness "rubber pirate chicken"! Thanks, Alana – good to see Andrea is starting that back up. I've belonged to several winery-based wine clubs. I never asked for customization, but nearly all of them actively offered add-ons to ship at the same time at a discount. None of them shipped in the summer. I currently belong to a wine club run by a master sommelier at a local restaurant – two bottles a month for $25, the idea being that cheap wine is hard to pick out. They have a retail license, so you can order more if you like what you get. Thanks, WD – got a link to that club?